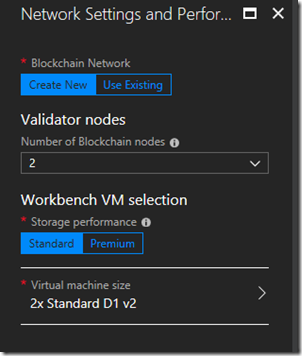 We’re excited to see a ton of engagement and positive feedback on Azure Blockchain Workbench since our initial public preview release in May. Last month, we made our first major update to the public preview release based on your feedback and feature requests. Today, we’re releasing our next update to Workbench, which we’re calling version 1.2.0. 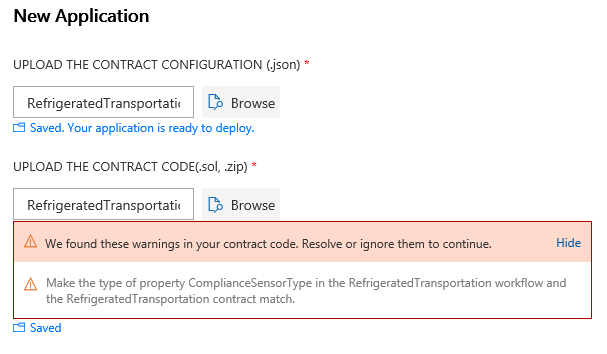 You can either deploy a new instance of Workbench through the Azure portal or upgrade your existing deployment to 1.2.0 using our upgrade script. 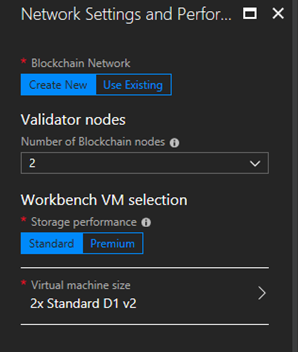 Many of you have started to iterate and create multiple blockchain apps using Workbench. 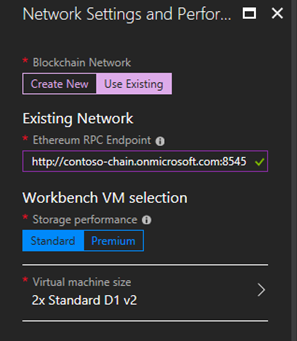 One of the most requested features we’ve heard is the ability to disable unused blockchain apps within the Workbench Web app. With 1.2.0, you will be able to enable or disable applications. 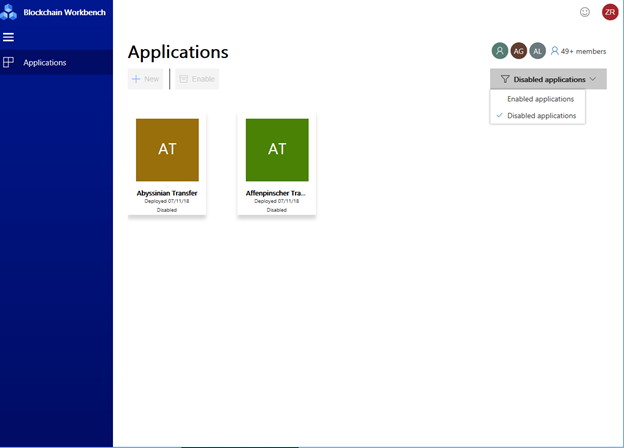 In addition, the UI will allow you to filter the list of applications to only show enabled or disabled applications. The endpoint must be an Ethereum Proof-of-Authority (PoA) blockchain network. Coming soon will be a new standalone Ethereum PoA solution, which can be used across members within a consortium. The endpoint must be publicly accessible over the network. The PoA blockchain network should be configured to have gas price set to zero (note, Workbench accounts are not funded, so if funds are required, transactions will fail). The interface that allows connecting to an existing network is shown below. Note that we have only tested Workbench against a PoA network and while other protocols may work, we cannot provide support for them at this time. 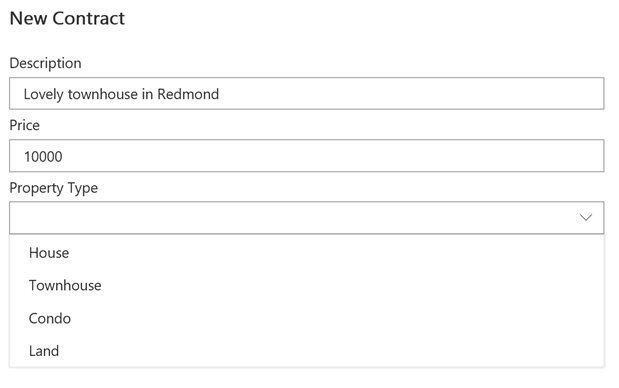 We plan to release a PoA single/multi-member solution template similar to our Proof-of-Work solution template in the Azure Marketplace soon and that will be compatible with BYOB. You can reference how to use the enum type in the Room Thermostat sample application. To make it easier to deploy a working Workbench application, we will show solidity warnings. These warnings don’t necessarily mean you have bugs, which need to be fixed. Instead, warnings indicate potential errors you might encounter when running your application. The Workbench frontend and backend now fully works with more than 100 provisioned users. 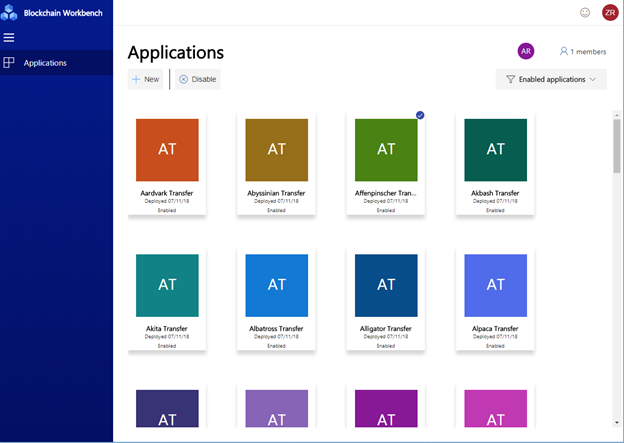 You will be able to connect to Azure Active Directories with more than 100 users and the Workbench client allows you to search and add users within large directories. Deployment of Workbench is more reliable as we’ve addressed the top failure cases, such as database initialization and naming conflicts. Performance of the Workbench REST API has been improved by moving App Service plan to Premium V2. The higher end CPU will result in better overall performance. Note, there is no change in cost from moving to this plan. Please use our Blockchain User Voice to provide feedback and suggest features/ideas for Workbench. Your input is helping make this a great service. We look forward to hearing from you.